On this day in history, 30th June 1559, King Henry II of France decided to do a bit of jousting. He did pretty well in the opening rounds, but then he came up against a fellow jouster called Gabriel de Montgomery. And, not taking into account that he was fighting the King, Gabriel wounded Henry. And then Henry died. Everyone was shocked that the king didn't win, and that he was mortally injured, no more so than Henry himself. Henry's last words were, "You little bast...."
On this day in history, 30th June 1934, Adolf Hitler proved way before the start of World War 2 what a complete and utter git he was by eliminating most of his political rivals in Germany. It is known as The Night of the Long Knives, not because the blades were knives and really long, but because the knives were blades and not short. Not his fault, Hitler was just going through a stabby phase in his life. Soon to move onto a blow up everyone phase with plans for the King of the Universe phase. His phases ended in 1945 with the obligatory shoot-himself-in-the-head-phase. Yay! 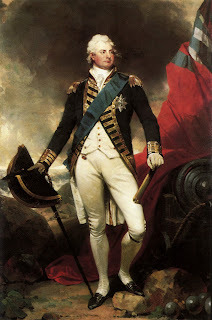 On this day in history, 20th June, 1837, William IV, King of the United Kingdom, kicked the bucket. Some interesting facts about William IV: He was the last monarch to appoint a Prime Minister against the will of Parliament. Even the current Queen, Elizabeth II, can appoint who she likes as Prime Minister, even if the British Public voted for someone else. But it's a power the Queen doesn't use. When William died, he had no surviving direct heirs. He did, however, have 8 illegitimate kids from shacking up with an actress by the name of Dorothea Jordan. What's interesting about that? Well, glad you asked. He was succeeded by his niece, Victoria. But the current British Prime Minister, David Cameron, is a descendant of the liaison between King William IV and the actress. On this day in history, 20th June, 1819, the United States vessel SS Savannah arrived at Liverpool, United Kingdom. It was the first steam-powered vessel to cross the Atlantic. Now, that is impressive. A steam-powered ship steaming all the way across the Atlantic ocean. However, in reality, the vessel may have been steam-powered, but it made most of the journey under sail. The only parts it made under steam were the start, getting out of the harbour, and the end, getting into dock. But, yeah, still impressive. 20th June, 1248, the University of Oxford received its Royal Charter. The University of Oxford is a really old university that is really old, although not the really oldest. Although it is the oldest in the English speaking world. But not the oldest of the oldest. That one goes to another university. The one in Italy. What's it called? Also not the best university in the world. That is obviously Cambridge. On this day in history, 18th June 1633, Charles I was crowned King of Scotland in Edinburgh. He had been king of England since 1625 and king of Scotland since that date, too. However, keen to avoid travelling to Scotland, he waited 8 years to be crowned. Charles struggled with some personal issues just before his reign as king ended. The main issue, which was rather personal, was his head being separated from his body. Yep, the guy was executed for treason in January 1649. A bit surprising considering he was the king. On this day in history, 18th June 1815, the Emperor Napoleon Bonaparte was defeated at the Battle of Waterloo by the pop group ABBA. Such a catchy tune. The Battle of Waterloo was a great victory for Britain and for the now famous Duke of Wellington, one of the greatest Generals in British history. It was fought near Waterloo, hence the name, in what is now present-day Belgium. After Napoleon's defeat at Waterloo, his time as Emperor of the French was at an end. The French monarchy was restored to King Louis XVIII and Napoleon was exiled to St Helena. The battle cost the French forces almost 26,000 lives. The British and its allies lost less than 5,000 in comparison. 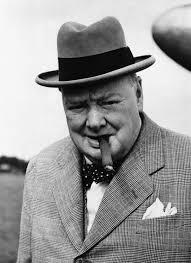 History Fact: 18th June 1940, Winston Churchill, the British Prime Minister gave his "This was their finest hour" speech to the British Parliament. He had only been in office for a month as the Second World War raged on in the Battle of France. "But if we fail, then the whole world, including the United States, including all that we have known and cared for, will sink into the abyss of a new dark age made more sinister, and perhaps more protracted, by the lights of perverted science. Let us therefore brace ourselves to our duties, and so bear ourselves, that if the British Empire and its Commonwealth last for a thousand years, men will still say, This was their finest hour." 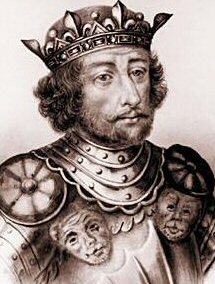 On this day in history, 15th June 923, King Robert 1st of France was killed at the Battle of Soissons by King Charles III. Or, as Charles III is better known, Charles the Simple. Although possibly not so simple, as he did manage to kill Robert in single combat. But, saying that, Charles the Simple was later defeated by Rudolph, not the red-nosed reindeer, but the Duke of Burgundy. Hmm, burgundy, Rudolph, and red. Do you see why someone might be a tad confused? If you want to know how you can tell the difference between Rudolph, Duke of Burgundy, and Rudolph, of the Red Nose, one of them has four legs, antlers, and is chummy with Santa. 15th June 1215, King John of England applies his seal to the Magna Carta at Runnymede, near Windsor. This was a big thing in history. 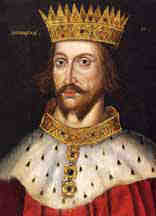 King John was forced to sign it by the English Barons. It protected the church rights, gave protection from illegal imprisonment, access to swift justice, and limited the feudal payments to the crown. Neither the King or the Barons stuck to the agreements laid down in the Magna Carta. It was annulled pretty quickly and led to 1st Barons War. After King John died, his son, Henry III, re-issued the document in 1216, this time with a few amendments. 15th June 1300, the city of Bilbao is founded. It's in Spain. Yeah, I know. Who cares? Well, I'll tell you who cares - the Bilbaos. Bilbaons? Billybaons? Bilbaonians? Nope, not a clue. 15th June 1648, Margaret Jones is hanged in Boston for witchcraft. Did anyone ever burn witches, or is that all made up? It was the first execution of a witch in the Massachusetts Bay Colony. And that's not an easy place to spell. The witch hunt lasted five years. Eighty people throughout New England were accused of being a witchy witch who does witchy things, but only fifteen were executed. Thirteen women and two men. 15th June 1752, Benjamin Franklin, yep, the President guy, proved lightning was electricity. He basically strapped three dozen hedgehogs to a kite and launched it during a storm. And that's why hedgehogs are so prickly. And always annoyed and angry. And why they now hate flying. 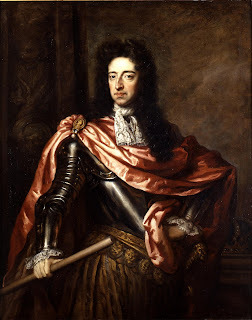 June 14th 1690 King William III of England landed in Ireland to confront the recently deposed King of England, James II. Now, William III, of England, was actually William of Orange, who happened to be King of England because he was married to Mary, the daughter of James II. James shacked up with a new wife and then she gave birth to a son. Because boys were better than girls back then, thankfully that's not true anymore, the little boy would inherit the throne before Mary. Unfortunately, James' new wife was a Catholic. Booooo. Hisssss. And the kid would be raised as one of "them". This did not sit well with England at the time. William of Oranges, the nasty fruit, was invited to England with his army (in what's called the Glorious Revolution), and was crowned, alongside Mary, as King of England. Where was James? On holiday in France at the time. 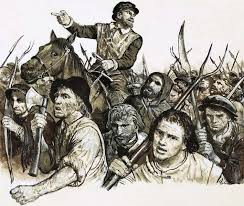 June 14th 1645 the Royalists and the Parliamentarians clashed at the Battle of Naseby during the 1st English Civil war. Seriously, wasn't really the first, there were civil wars before that, but, whatever. Despite the naming inaccuracies, it was a really interesting battle. Click to read more about Charles-I-am-not-a-spaniel and his fight at the Battle of Naseby against the New Model Army of the Parliamentarians. June 14th (ye olde calendar) 1667 the Battle of Medway ends. It's also called the Raid on the Medway, or the Raid on Chatham, or Battle of Chatham. And Holy Cow, what the stonking stonks are those Dutch ships doing in our river? Yep, the Dutch fleet sailed up the Medway to the dockyards at Chatham and attacked the ships of the Royal Navy, either destroying or capturing them. It was one of the worst defeats in the history of the Royal Navy. It's rumoured that King Charles II was dancing around his bedroom, nekkid, chasing butterflies as the battle raged on the rivers of England. Come on, we've all done that at some point in our lives. June 14th 1158 the city of Munich, Germany's 3rd largest city, is founded by Henry the Lion. Not many know why Henry was called The Lion, but there's a lion somewhere in Africa who is really miffed at not having a head or skin. Click here to read more about Henry the Lion, and his encounter with a lion. 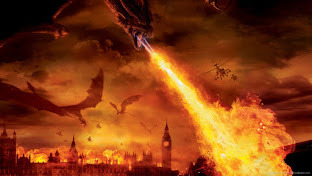 And, it seems, a dragon. Sheesh, were they all drugged up back then? On this day in history, 13th June 1378, the Anglo-Portuguese Treaty was signed between King Edward III of England and King Ferdinand and Queen Eleanor of Portugal. It's the oldest active treaty in the world and established "Perpetual friendships, unions and alliances" between England (later the United Kingdom) and Portugal. The Treaty was activated during World War 2 and also in 1982 during the Falklands war between the United Kingdom and Argentina. On this day in history, 13th June 1625, King Charles I of England married Princess Henrietta Maria of France and she became Queen Consort. She was not a popular figure in England, and being a catholic, was not crowned Queen. 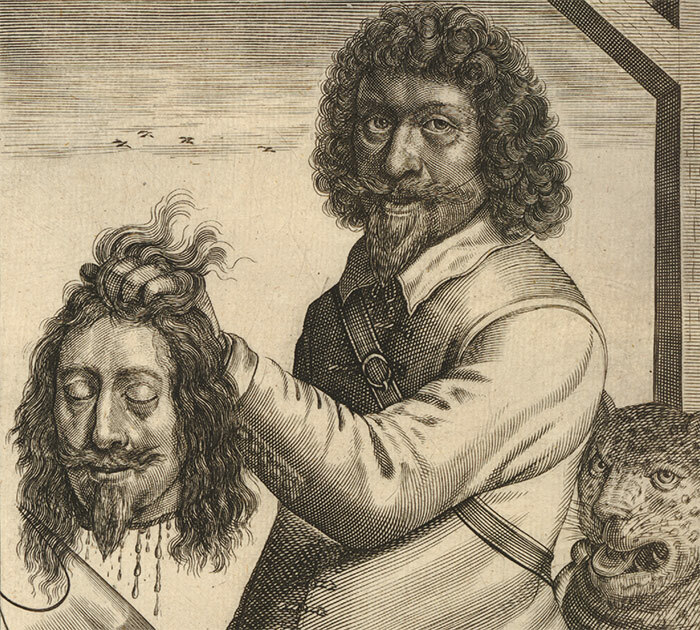 Charles, on the other hand, was also becoming less popular. He'd soon endure a Civil War, and then not endure the severing of his head from his body. 13th June 1805, during the Lewis and Clark Expedition, Meriwether Lewis and four of his companions lay eyes on the Great Falls of the Missouri river. Unfortunately, they were so engrossed with this spectacle they totally missed the twenty four grizzly bears performing Riverdance behind them. 13th June 1966, The United States of America Supreme Court ruled in the Miranda vs. Arizona case that the police must inform all suspects of the their rights before questioning them. This is now known as a person's Miranda rights, because of the case. You have the right to remain silent. Anything you can say ... Shut up or I'll shoot you. 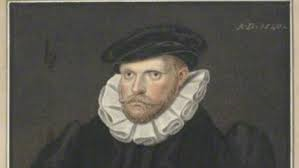 On this day in history, 12th June 1567, Richard Rich died. Nope, we're not talking about Richie Rich the character played by Macaulay Culkin, who, for some reason, kept being left home alone. We're talking about the 1st Baron Rich who was Lord Chancellor of England during the reign of King Edward VI. Lord Rich was not a pleasant man, to say the least. Rich tormented the future Queen Mary I, Henry VIII's daughter. And his hobbies included kicking hedgehogs and persecuting and torturing Protestants. No wonder his parents abandoned him at every opportunity. On this day in history, 12th June 1816, Charles Pierre Francois Augereau, 1st Duc de Castiglione died. He was a soldier, general, and Marshal of France, who knew how to duck. Duc De Castiglione served in the French Revolutionary Wars and found himself fighting in every major battle in 1796 with the Emperor Napoleon Bonaparte. But, seeing the end was near for Bonaparte, Duc de Castiglione switched sides to King Louis XVIII. Then, decided to switch back to Bonaparte. Unfortunately, he also found himself on the loosing side again. So, he switched back to the king's side. However, when King Louis XVIII of France was restored to the throne, being a little bit miffed, and slightly confused as to how many switches had taken place, he removed Duc de Castiglione's titles and pension. On this day in history, 12th June 1929, Anne Frank is born. Thirteen years later, in 1942, she received a book for her 13th birthday. It was bound with red and white checked cloth, with a small lock on the front. Anne began writing in the book the very same day, starting to chronicle her experiences growing up through the German occupation and her time in hiding with her family in secret rooms behind a shop. Anne Frank died in 1944 of typhus in the Bergen-Belsen concentration camp. Her diary was saved and found its way to her father, the only surviving member of the family. It was later published as The Diary of a Young Girl, and is now known as The Diary of Anne Frank. On this day in history, 11th June 1184BC, the ancient city of Troy was destroyed after someone let the horse inside. Brad Pitt journey from Greece to Troy because he wanted to get to Paris as he'd never seen the Eiffel tower. Hmm, I may be getting some stuff muddled up there. When Paris, a prince of Troy, kidnapped Helen, the most beautiful women on Earth, from her husband Menelaus, who was the king of I AM SPARTA, Greece united and sent an army to Troy to get her back. There was a ten year siege of the city, something the film doesn't cover, Paris, Achilles, Ajax, Hector, and Bob the Builder, all died during the war. 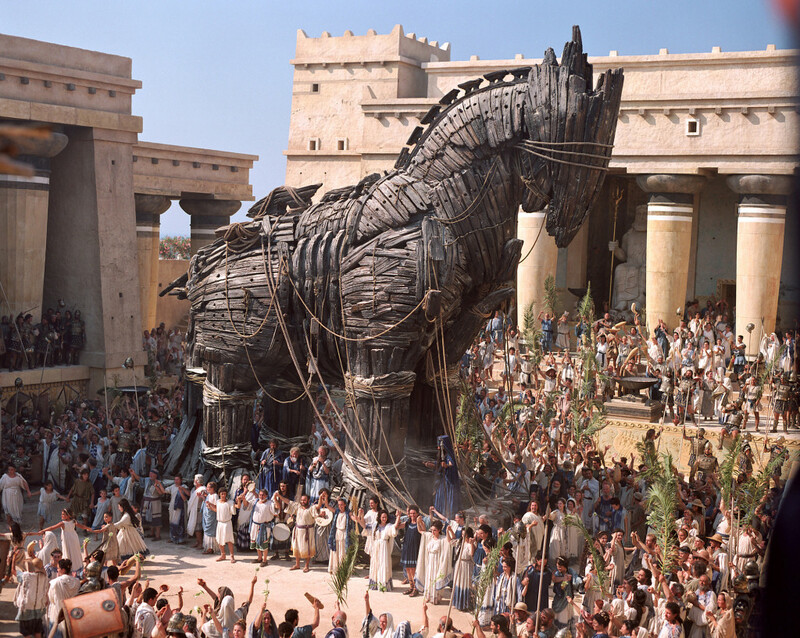 Then a bright spark built a giant wooden horse and left it outside the gates as a present. The rest is history. Never look a gift horse in the mouth. Beware Greeks who come bearing gifts. Don't eat yellow snow. On this day in history, 11th June 1509, Henry-Of-The-Many-Numbers (8) married his brother's childhood sweetheart, Arrogant Catherine. Oops, I mean, Catherine of Aragon. She was Henry VIII's first of six wives, most of which couldn't produce a male heir, which miffed Henry somewhat. Enough to have a few of their heads chopped off so he could re-marry. Catherine was originally married to Henry's older brother, Arthur, who was meant to become king. Unfortunately he died quite young, so the throne passed to Henry, along with his wife and DVD collection. On this day in history, 11th June 1944, the USS Missouri is commissioned. The Missouri was the last battleship built by the United States Navy and is famed for being the site of one of Steven Seagal's better movies. Not saying it was a great movie, just better than the rest of his films. Oh, the USS Missouri was also the stage for the signing of the Japanese Instrument of Surrender at the end of the Second World War. A video tribute to all those at Dunkirk.